Things in Michigan are FINALLY starting to warm up. It reached a whopping 48 degrees today. Yeeehaww. My three sons (I know! Cheesy huh?) were so excited they had themselves out golfing in the yard this evening. 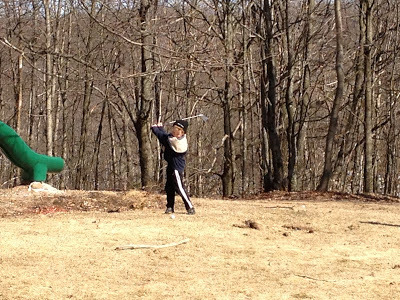 There were only a few snow piles they had to avoid, but hey, every great golfer has to learn to avoid the hazard areas! 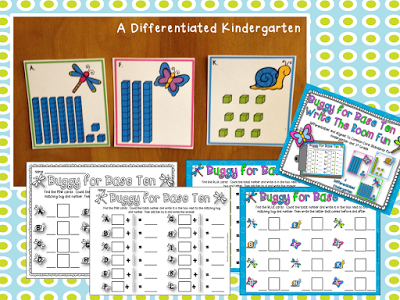 As the weather outside starts to change, inside my class we’ve been talking about insects and working with some buggy word work and math stations. I love this time of year! 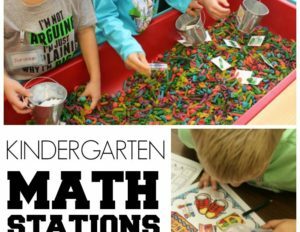 The themes are fun and kinders love anything non-fiction so this topic has been a hit. And to make it a bit more fun, I’m using some buggy math stations to keep them interested and engaged . . . there’s still quite a bit of school left so I can’t have them falling asleep on me now. It’s also such a great time of year because they seem to have suddenly become INDEPENDENT beyond what I could have ever imagined. 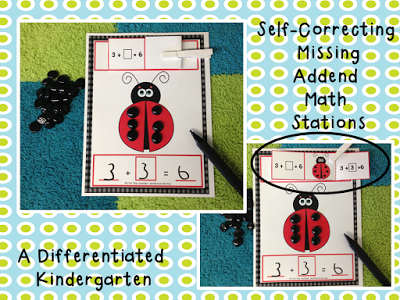 Stations like this one help develop that independence with self-correcting cards. It’s a differentiated missing addends station. The black glass stones (love Dollar General) make it appealing and interesting to little learners, and they love being able to ‘check’ their own work. Of course, it’s tiered so they are challenged but not frustrated beyond their own level of readiness. 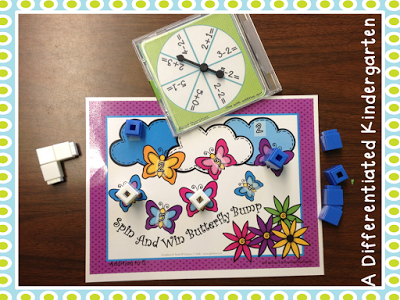 Spin and Win activities are a favorite among the kinders in my class and for me because they are easily tiered. 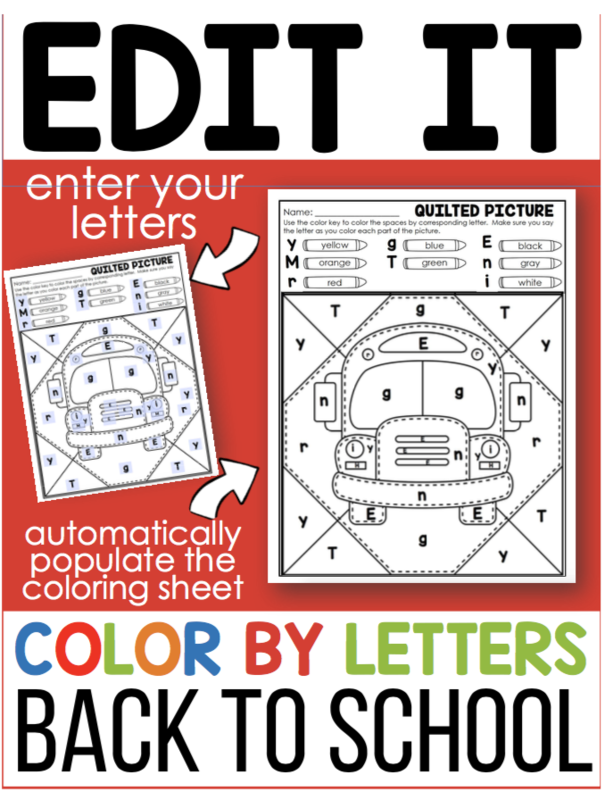 Even my kinders can easily slip a new spin card into a cd case and be on their way. 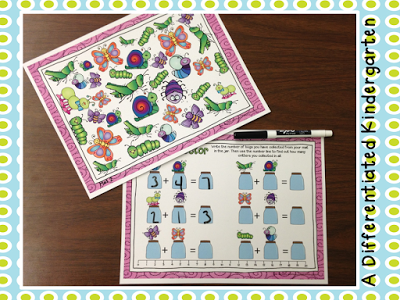 This one is a mixed addition spin and win activity that works on addition and subtraction fluency. 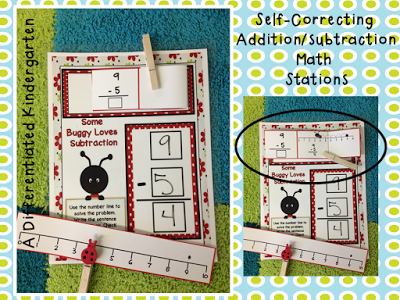 I like to give them alot of different skills and ideas to solve problems in addition and subtraction and one of those ways is with a number line. You know I have a HUGE floor sized one that is a HIT with my kinesthetic learners, but I needed something else that would appeal to them on a smaller scale. So I put little lady bugs on a clothes pins and gave them each a little number line and sent them to work. It’s a self-correcting activity so they can check their progress on their own. As they get faster and faster, they can use the spinner that I included with this station to extend the activity into a game of greater than/less than. Counting mats are a staple in my classroom. Students love them and, as the year has progressed, I’ve been able to add new skills to keep them challenged. 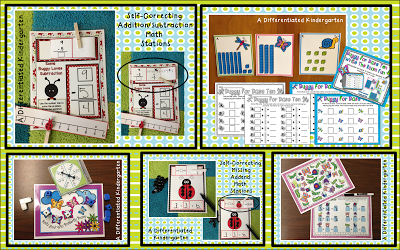 This set has a graphing, tally, making ten and now two sets of addition response sheets that go with them. 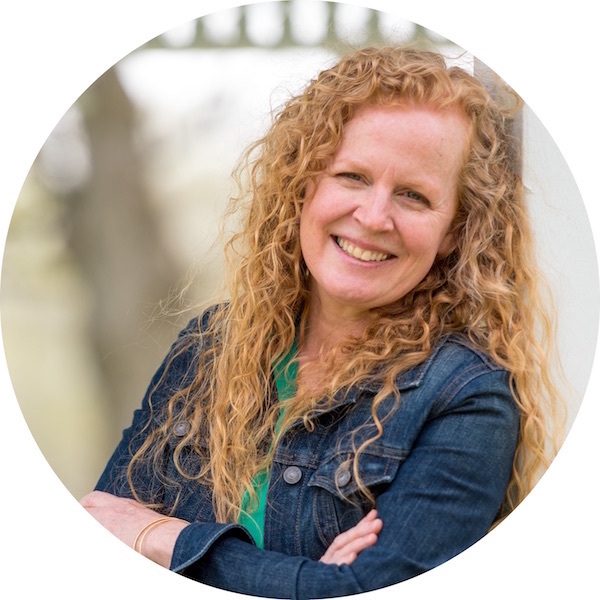 They love mastering one skill and being able to ask for the next, and I love seeing them grow confident in their abilities. I love this time of year. As I keep assessing and adjusting their instruction, it never ceases to amaze me just how much they have learned this year, and there’s still two months left. Oh sure there are still some things we need to work on, but WOW . . . talk about progress. This is why we teach! Can I ask how write the room activities work? I’ve heard you mention them several times and I was wondering what they are! Basically, there are cards posted throughout the room. Students take a clipboard and travel around, find the cards and complete a task. Sometimes it’s for ELA or sometimes Math . . . the skills are really unlimited. 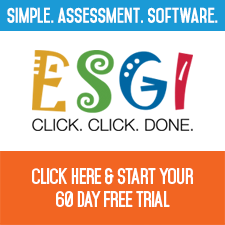 It is especially appealing to kinesthetic learners and little guys. Thanks! I’m really interested to try it!